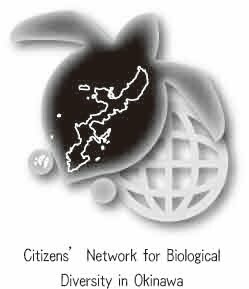 Okinawa’s Biodiversity in Crisis: What is Really Happening in COP 10 Host Country? What is Really Happening in COP 10 Host Country? Okinawa is the southern most prefecture of Japan, consisting of over 160 small islands. Located in subtropical oceanic climate, Okinawa is the most biodiversity rich area in Japan. Today, Okinawa’s biodiversity is in crisis. And this crisis comes from the Japanese government’s total disregard for Okinawa’s biodiversity and its people’s life, which depends upon the environment. The Japanese government, along with the US government, is pushing two construction plans of US military base in Okinawa. One is to build a massive airbase in Henoko and Oura Bay in the northern part of Okinawa Island, where endangered Okinawa dugongs, rare blue coral, and many other marine wonders survive. The other is to construct 6 helipads in the subtropical forests of Yanbaru, where endangered Okinawa rails and a large number of other endemic animals and plants continue to live. The Japanese government is also carrying out destructive development projects in biodiversity rich parts of Okinawa. The Awase tidal flat, which meets the criteria for Ramsar Site, is now being reclaimed. The Yanbaru forests, considered for UNESCO World Heritage Site, have been devastated by the construction of mountain roads. As the Chair of COP10, the Japanese government is boasting its commitment to biodiversity conservation and its sustainable use. You have been told about the Satoyama Initiative. You have been shown its Basic Biodiversity Act (2007). You have been introduced to its new plans for biodiversity conservation during COP10. From Okinawa’s experience, however, these policies and plans remain as hollow as ever. If the Japanese government wants to be true to the Convention on Biological Diversity and to be a leader in stewardship of life on the plant, it should stop these US military base construction plans and ill-advised development projects. We call for international attention to what is happening in Okinawa and invite all the participants at COP10 to join our efforts to protect Okinawa’s biodiversity and its people’s life.